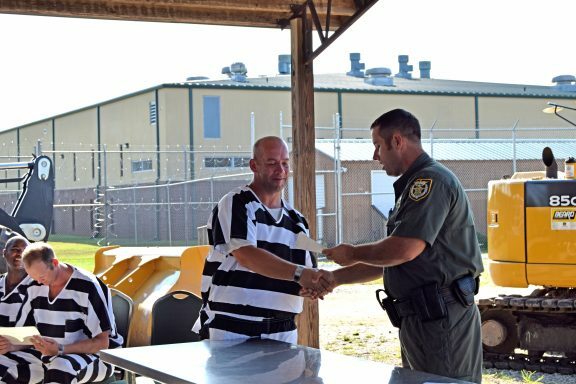 DEFUNIAK SPRINGS, Fla— Today marks the beginning of a new path for a group of inmates at the Walton County Jail. 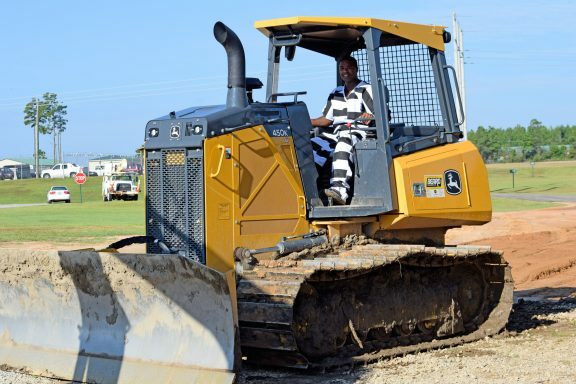 For the last five weeks, you could find bulldozers, backhoes, excavators and other heavy machinery digging up large amounts of earth around the Walton County Jail. But it wasn’t your typical construction workers hard at work, it was men in striped uniforms, inmates currently incarcerated at the Walton County Jail. 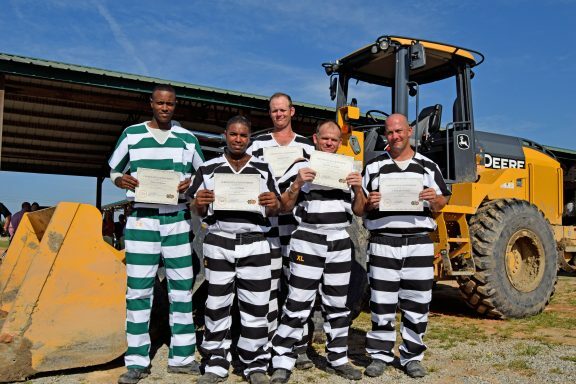 At 9:00 AM on Thursday, September 13, 2018 five inmates, including one Escambia County inmate currently housed in Walton County, became the first to graduate from the heavy equipment operations class at the Walton County Jail. 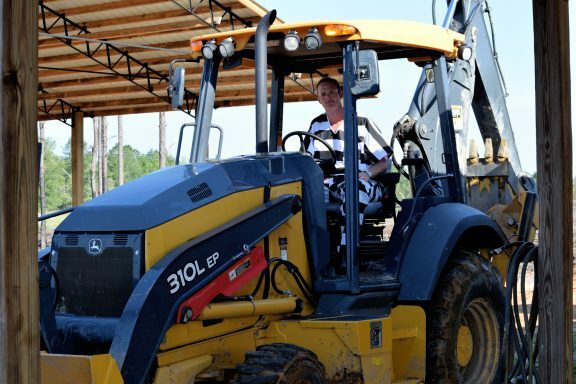 During the course, they learned how to safely operate and maintain heavy machinery commonly used on construction sites under the instruction of WCSO detention deputy Frank Araneo. 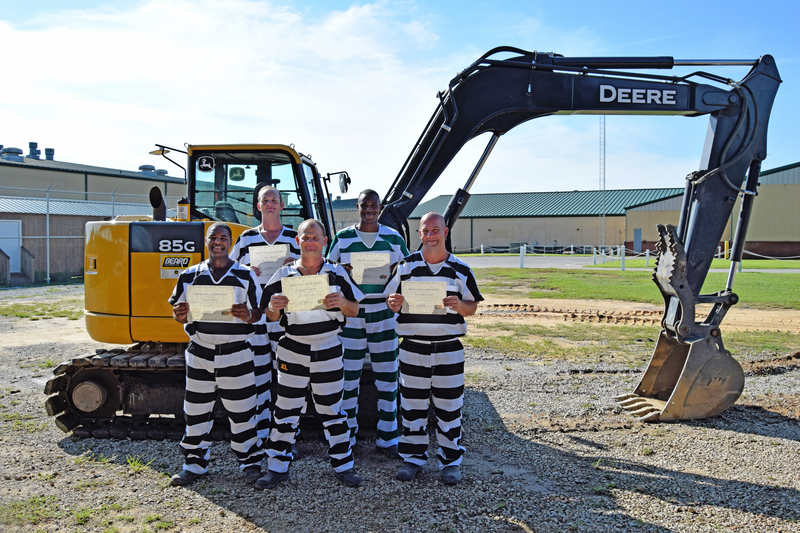 The heavy equipment program is one of the many programs dreamt up by Sheriff Michael Adkinson giving inmates the opportunity to learn a new trade in an attempt to reduce recidivism.